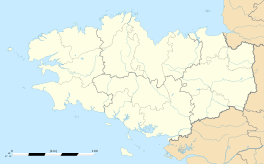 Châteaulin (French: [ʃɑ.to.lɛ̃]; Breton: Kastellin) is a commune in the Finistère department and administrative region of Brittany in north-western France. It is a sub-prefecture of the department. 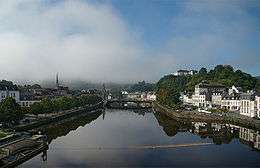 Châteaulin is located in a valley towards the center of the Finistère. 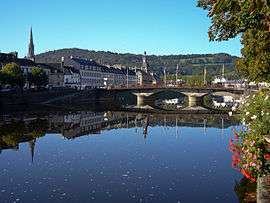 Situated on the Aulne River, also Canal de Nantes à Brest there, Châteaulin is centrally located between Quimper to the south and Brest to the North. To the West, the Menez-Hom hills separate it from the Crozon peninsula and the Bay of Douarnenez which leads into the Atlantic Ocean. 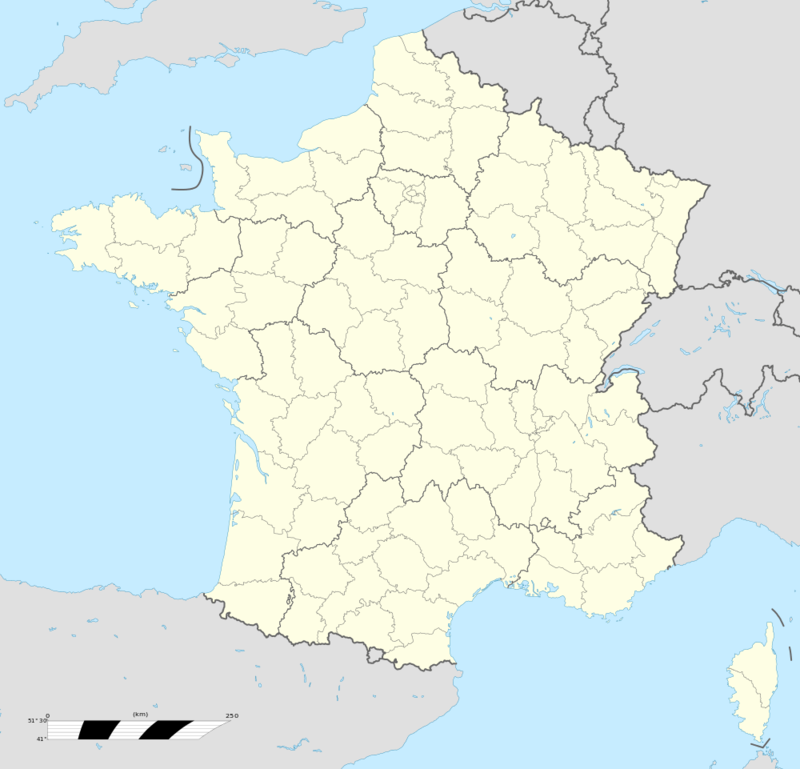 In French the inhabitants of Châteaulin are known as Châteaulinois. In 2008, 1.96% of primary-school children attended bilingual schools. Châteaulin's economy rests on the twin bedrocks of food processing (salmon and poultry) and, to an ever greater extent, tourism. The Gendarmerie school on the outskirts of the town provides for a large number of families and the many recruits passing through the school provide the economic backbone of the town's night-life. A cake shop is also well-known within the area of Châteaulin,"Histoire de Macaron" is famous thanks to its tasty and wide range of macarons as well as the Java, created in 1907 by Mister Le Meur, which is a legend in the city. Yves Marie André, better known as le Père André (1675–1764), Jesuit priest and philosopher. 27 November 1761 : Birth of Julien Marie Cosmao-Kerjulien (died in Brest 17 February 1825), Rear-Admiral and Baron d'Empire. Jean Moulin, emblem of the French Resistance during the Second World War, was the sub-prefect from 1930 to 1933. - Clonakilty, County Cork, Ireland. Wikimedia Commons has media related to Châteaulin.